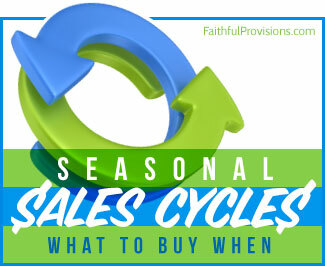 This summer we purchased a quarter of a cow, and I have been seeking out ways to use the different cuts of meat, like stew meat and beef tips. The crock pot is a perfect place to easily incorporate these cuts and make them taste great. A classic Beef Stroganoff was a staple in my house growing up, but my mom cooked it over the stove using higher end cuts of meat. I like this version, because once you put it together in the crock pot, you are done. 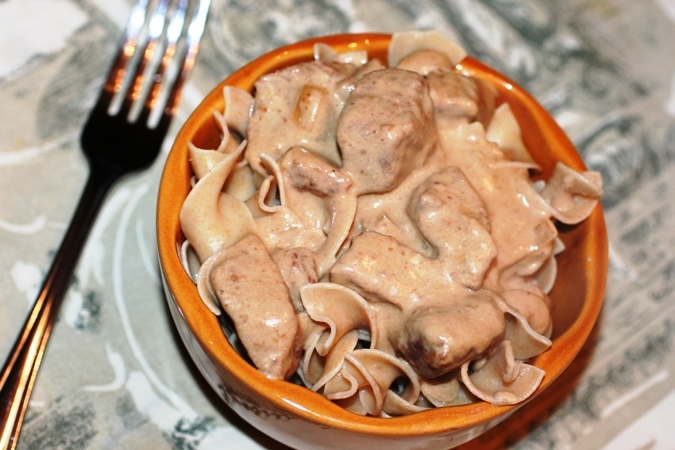 This Crock Pot Beef Stroganoff recipe utilizes less expensive cuts of meat. 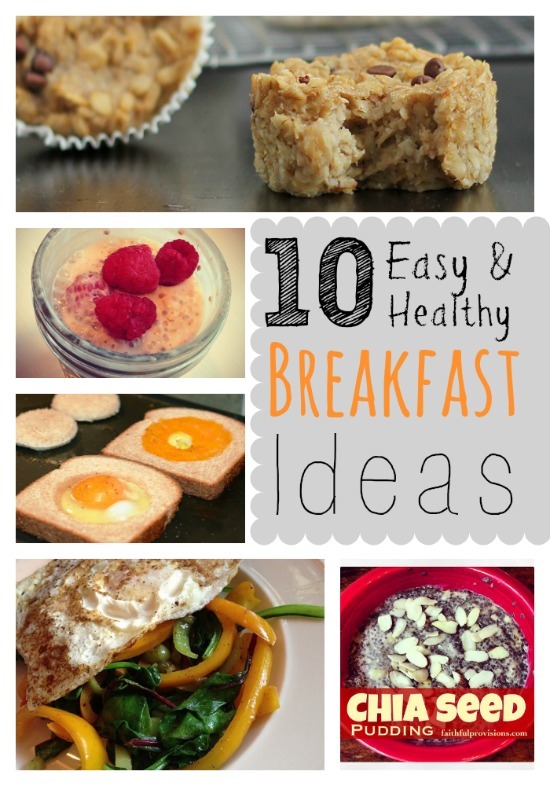 Using only a few ingredients, you can pull together a meal that tastes amazing! My favorite way to serve Beef Stroganoff is over egg noodles, but lately I have started using whole wheat wide noodles (same thing) to make it a little healthier. Another way to kick it up a notch is to make your own cream of mushroom soup, versus the store-bought version. I hope to have mine up soon in the Recipe Box! Since Beef Stroganoff is a pretty heavy dish, I like to serve it with something green and light, like a healthy side salad or steamed broccoli. With all the noodles, we don’t even serve bread, but it would be fine to serve as a side (for dipping in the extra sauce). 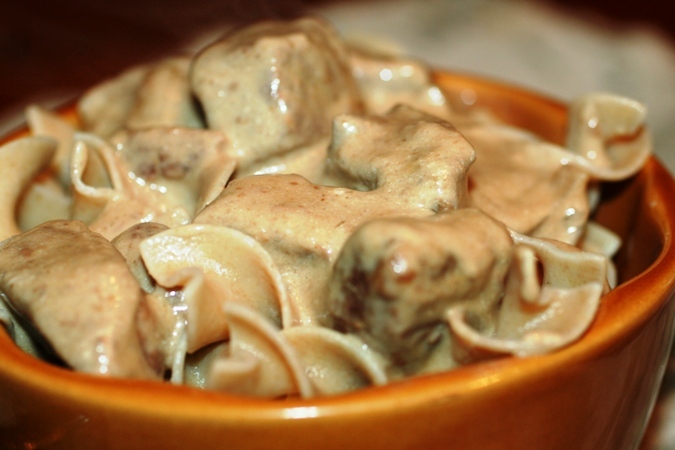 This Beef Stroganoff recipe was enough to serve my husband and me and our two small kids. If you have big eaters, and a larger family, I would recommend doubling or even tripling this recipe. As is, it was just enough for each of us to have a medium-sized helping and a side. Lastly, I have noticed that most crockpot recipes advocate cooking on low for 8-10 hours. I don’t know if my slow cooker just cooks warmer or what, but I usually only cook my meat on low for 4-5 hours, keeping it in any longer would make it dry and stringy, especially if it is a lean cut. Combine all ingredients except the meat and cream cheese and stir together. Once combined, add the meat and stir. Just before serving, add cream cheese. Mix until combined and heated through. Hey there! So do you put the egg noodles in the crock pot too? No, just serve over the noodles separately. So you dont have to pre-cook the meat?